Isotrol Primer is a extremely surface tolerant and highly penetrating and wetting linseed oil based alkyd. 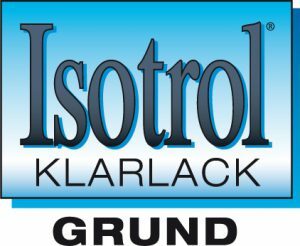 For maintenance of aged painted surfaces and rusty surfaces the Isotrol system result in very long maintenance intervals with out without sandblasting or grinding/steel brushing. The simplification of cleaning pre-treatment lowers the total cost of maintenance in both short and long term! Suitable top coats Isoguard Pansar and/or Isotrol Finish. Or Isoguard Aluminium and Isomastic. Isotrol Primer are available on spray cans.